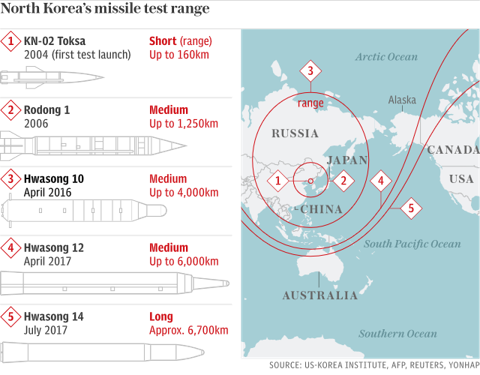 North Korea’s nuclear and missile test programmes are mere symptoms of ‘The Cold War in Asia’. It is strange to read that the US expects China and Russia to do enough to stop North Korea. In my analysis, the US is not doing enough to contain the spread of Communism in Asia. This problem dates back to the Communist takeover of mainland China in 1949. The missile, launched from Sunan, the site of Pyongyang’s international airport, flew farther than any other missile North Korea has fired. The distance it flew is slightly greater than between the North Korean capital and the American air base in Guam. It was "the furthest over ground any of their ballistic missiles has ever travelled", Joseph Dempsey of the International Institute for Strategic Studies said on Twitter. 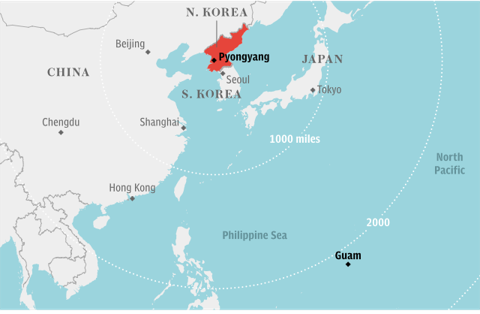 Physicist David Wright, of the Union of Concerned Scientists, added: "North Korea demonstrated that it could reach Guam with this missile, although the payload the missile was carrying is not known" and its accuracy was in doubt. 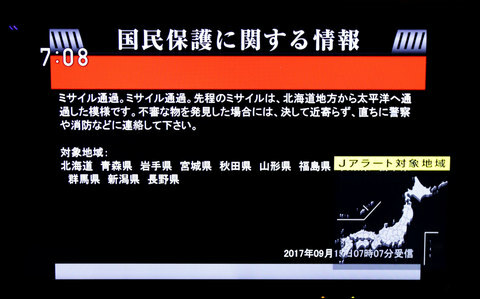 Sirens sounded and alerts were issued in Japan as residents were warned to take shelter while the missile passed over Hoakkaido. "We can never tolerate that North Korea trampled on the international community’s strong, united resolve toward peace that has been shown in UN resolutions and went ahead again with this outrageous act," Shinzo Abe, the Japanese prime minister, said. Jim Mattis, US Defence Secretary, called the latest missile launch a reckless act and "put millions of Japanese in duck and cover". US Secretary of State Rex Tillerson urged China and Russia to do more to rein in North Korea. "China and Russia must indicate their intolerance for these reckless missile launches by taking direct actions of their own," Mr. Tillerson said in a statement. China said it "opposes" the test, but reiterated its call that "all parties" should exercise restraint. "The situation on the Korean Peninsula is complicated and sensitive,” a spokeswoman said. In response to the launch, South Korea’s military immediately carried out a ballistic missile drill of its own, the Defence ministry said, adding it took place while the North’s rocket was still airborne. 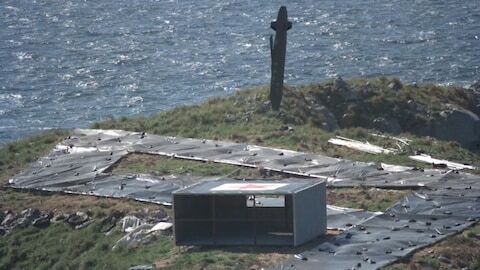 One Hyunmu missile travelled 250 kilometers into the East Sea, Korea’s name for the Sea of Japan – a trajectory intentionally chosen to represent the distance to the launch site at Sunan, near Pyongyang’s airport, it added. But embarrassingly, another failed soon after being fired. President Moon Jae-In told an emergency meeting of Seoul’s national security council that dialogue with the North was "impossible in a situation like this", adding that the South had the power to destroy it. In New York, the Security Council called an emergency meeting for later on Friday. However, a North Korean official said Pyongyang would continue to defy sanctions. North Korea last month used the airport to fire a Hwasong-12 intermediate range missile that flew over northern Japan. The North then declared it a "meaningful prelude" to containing the U.S. Pacific island territory of Guam and the start of more ballistic missile launches toward the Pacific Ocean. Japan’s Chief Cabinet Secretary Yoshihide Suga denounced North Korea’s latest launch, saying he was conveying "strong anger" on behalf of the Japanese people. Mr. Suga said Japan "will not tolerate the repeated and excessive provocations." China said it opposed North Korea’s latest missile test and warned that the situation on the Korean peninsula was “complicated and sensitive”, China Correspondent Neil Connor reports from Beijing. Foreign ministry spokeswoman Hua Chunying said: “China opposes North Korea violating relevant UN Security Council resolutions by making use of ballistic missile technology to embark on launch activities. “Currently, the situation on the Korean Peninsula is complicated and sensitive,” Ms Hua told a regular briefing in Beijing. The latest missile launch by North Korea must be met with a united international response, Foreign Secretary Boris Johnson has urged. Mr. Johnson condemned the test as "illegal" and the latest sign of "provocation" from Pyongyang. "Yet another illegal missile launch by North Korea. UK and international community will stand together in the face of these provocations," he said on Twitter. In a subsequent statement, he added: "The UK and the international community have condemned the aggressive and illegal actions of the North Korean regime, and the succession of missile and nuclear tests. We stand firmly by Japan and our other international partners. "We are working to mobilize world opinion with the aim of achieving a diplomatic solution to the situation on the Korean peninsula. "This week the most stringent UN sanctions regime placed on any nation in the 21st century was imposed on North Korea, after being unanimously agreed at the UN Security Council. "These measures now need to be robustly enforced. We urge all states to play their part in changing the course North Korea is taking." Before the latest launch, Mr. Johnson had called for China to use its influence over North Korea to ease tensions caused by Pyongyang’s nuclear and missile development programmes. At a press conference with US counterpart Rex Tillerson on Thursday, Mr. Johnson said Pyongyang had "defied the world". What kinds of missile was launched by North Korea? The missile was launched from Sunan, the location of Pyongyang’s international airport and the origin of the earlier missile that flew over Japan. 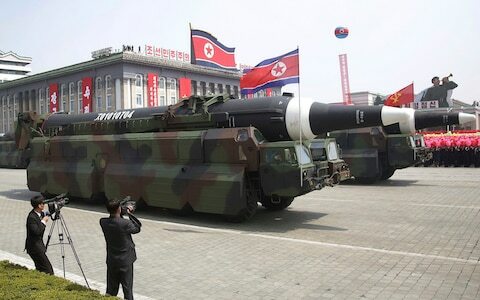 Analysts have speculated the new test was of the same intermediate-range missile launched in that earlier flight, the Hwasong-12, and was meant to show Washington that the North can hit Guam if it chose to do so. Japan’s Defence minister said on Friday that he believed North Korea "has Guam in mind" after its most recent missile launch, noting it had sufficient range to hit the US territory. Pyongyang has threatened to hit the US Pacific territory with "enveloping fire," sparking dire warnings from US President Donald Trump. 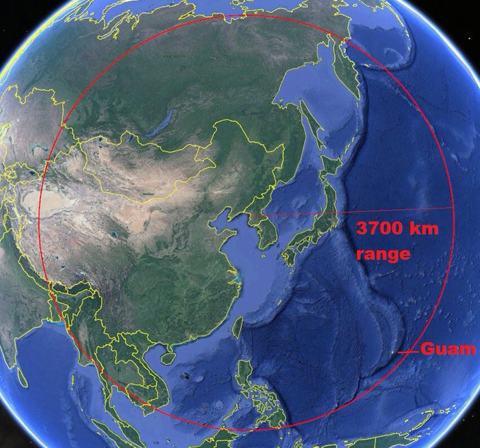 Itsunori Onodera told reporters that the latest missile, which overflew Japanese territory, flew 2,300 miles – "long enough to cover Guam", which is 2,100 miles from North Korea. "We cannot assume North Korea’s intention, but given what it has said, I think it has Guam in mind," Onodera said. He warned that "similar actions (by the North) would continue" as Pyongyang appeared to have shrugged off UN sanctions agreed earlier this week. The US Pacific Command confirmed the launch was an intermediate range ballistic missile (IRBM) but said it posed no threat to Guam or to the American mainland. But, for the second time in less than a month, it overflew Japan’s northernmost island of Hokkaido, sparking loudspeaker alerts and warnings to citizens to take cover. How much of a threat to the UK is North Korea? As North Korea continues to goad the world with its weapons programme, we examine in this video how much of a threat Kim Jong-Un’s regime is to Britain. Reality check: Is North Korea a threat to the UK? ‘This latest test is proof"
North Korea’s launch of a ballistic missile that flew more than 2,300 miles before falling into the Pacific Ocean is a "clear and unequivocal" message to the United States that Pyongyang has the ability to strike Guam. The intention, according to analysts, was to demonstrate that Pyongyang would have no compunction in the event of war from targeting the resort island in order to interrupt air attacks on the North as well as efforts to reinforce ground forces on the Korean Peninsula. "From previous launches and the altitude and ranges of those missiles, it has been assumed that Guam is within range of the North’s missiles, but this latest test is proof", Garren Mulloy, a Defence expert and associate professor of international relations at Japan’s Daito Bunka University, told The Telegraph. South Korean President Moon Jae-in ordered his military to conduct a live-fire ballistic missile drill in response to the North Korean launch. South Korea’s Joint Chiefs of Staff said one of the two missiles fired in the drill hit a sea target about 250 kilometers (155 miles) away, which was approximately the distance to Pyongyang’s Sunan, but the other failed in flight shortly after launch. North Korea has launched dozens of missiles under young leader Kim Jong -un as it accelerates a weapons programme designed to give it the ability to target the United States with a powerful, nuclear-tipped missile. Two tests in July were for long-range intercontinental ballistic missiles capable of reaching at least parts of the US mainland. "This rocket has meaning in that North Korea is pushing towards technological completion of its missiles and that North Korea may be feeling some pressure that they need to show the international community something." Some residents in Japan have reacted angrily to the latest test. "Japanese people have not been subjected to this kind of threat since the end of the war more than 70 years ago", Ken Kato, a Tokyo-based human rights activist, told the Telegraph..
"People genuinely feel that unless something is done quite soon, then their families are at risk", he told The Telegraph. "This is the situation we are in now and we have to adapt to these realities, but these missile launches and nuclear tests are leading a lot of people to conclude that Japan needs its own nuclear deterrent. "Personally, the launch did not come as much of a surprise because this is becoming a fact of life for us in Japan", he said. "But there is also a growing sense of anger among ordinary people. 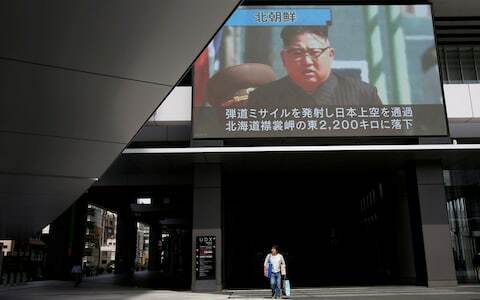 "North Korea is a terrorist nation and I expect this situation to escalate even further,"
Residents in northern Japan appeared calm and went about their business as normal despite the sirens warning them of a missile flying overhead. It was the second such alert in a matter of weeks, but, for some residents, there was no question of this becoming a routine event. "I cannot say that we are used to this. I mean, the missile flew right above our town. It’s not a very comforting thing to hear. "It’s pretty scary. I heard that it went 2,000 kilometers in the Pacific and dropped in the sea" where 16 of his ships were operating under the missile’s flight path." The New York Times reports that the Trump administration chose not to take out the missile on the launching pad, even though they saw it being fueled up a day ago. Officials said Vice President Mike Pence was even shown images of the missile during a visit to one of the nation’s intelligence agencies. Air Koryo flight 151, which left the area of the missile launch 90 minutes after it was conducted, has now landed in Beijing – 10 minutes ahead of schedule. South Korean President Moon Jae-in says North Korea’s latest launch of a missile over Japan will only result in further diplomatic and economic isolation for the North. "President Moon ordered officials to closely analyze and prepare for new possible North Korean threats like EMP (electro-magnetic pulse) and biochemical attacks," Moon’s spokesman Park Su-hyun told a briefing. 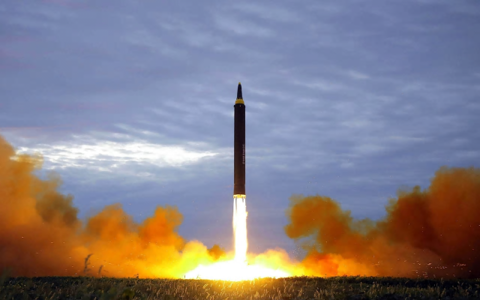 The missile was launched at 6.59am from Sunan, the site of Pyongyang’s international airport. An hour and a half later a passenger flight took off for Beijing. Japanese Prime Minister Shinzo Abe says United Nations sanctions on North Korea needed to be firmly imposed. Abe said that the international community must send a clear message to North Korea over its provocative actions. "We can never tolerate that North Korea trampled on the international community’s strong, united resolve toward peace that has been shown in UN resolutions and went ahead again with this outrageous act." US Defence Secretary Jim Mattis says North Korea’s missile launch over Japan "put millions of Japanese into duck and cover" before it landed in the Pacific Ocean, and added that top US officials had fully coordinated after the test-launch. "We have just got done with the calls we always make to coordinate among ourselves. Steady as she goes," Mattis told reporters traveling with him during a visit to the U.S. Strategic Command, which oversees U.S. nuclear forces. The 15-member Security Council unanimously stepped up sanctions against North Korea on Monday over its Sept. 3 nuclear test, imposing a ban on the country’s textile exports and capping imports of crude oil. It was the ninth U.N. sanctions resolution adopted on North Korea since 2006. In confronting North Korea’s latest provocation, the focus will almost certainly shift once again to Beijing, China Correspondent Neil Connor says. Donald Trump has warned that the United States would cease trading with any country that trades with North Korea – comments which were met with concern in China. And in London only hours before Pyongyang fired its latest projectile, the US secretary of state Rex Tillerson urged China to use its supply of oil to North Korea as leverage against the regime. "That is a very powerful tool and it has been used in the past," Tillerson said at a news conference. "We hope China will not reject that." In 2003, China shut down its oil pipeline to North Korea for three days after a missile launch. Officials said it was due to a mechanical failure, although it was thought to be deliberate and ultimately helped force a climb-down from Pyongyang. The US Pacific Command says initial assessment indicates the projectile was an intermediate range ballistic missile. It said the North American Aerospace Defence Command (NORAD) determined this ballistic missile did not pose a threat to North America, nor Guam. "Our commitment to the Defence of our allies, including the Republic of Korea and Japan, in the face of these threats, remains ironclad. We remain prepared to defend ourselves and our allies from any attack or provocation. 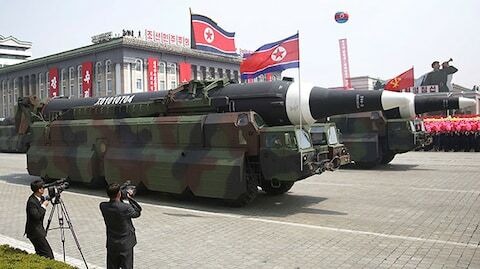 South Korean experts said the August launch was Pyongyang’s attempt to make missiles flying over Japan an accepted norm as it seeks to test new projectiles and win more military space in the region dominated by its enemies. 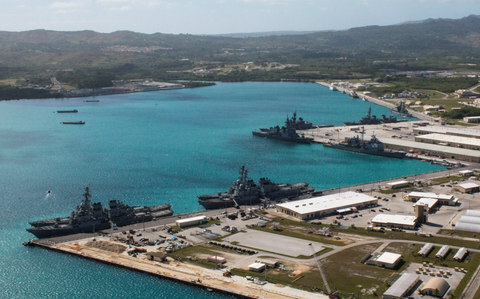 The Offices of Guam Homeland Security and Civil Defence said the latest launch posed no immediate threat to Guam or the Marinas. White House spokeswoman Sarah Huckabee Sanders says US President Donald Trump has been briefed on North Korea’s launch of the unidentified missile over Japan. "The President has been briefed on the latest North Korea missile launch by General Kelly," Sanders said, referring to the president’s chief of staff. 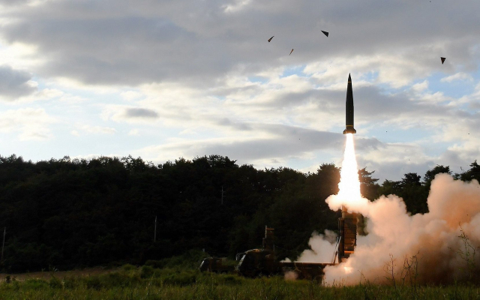 South Korea’s Defence Ministry said the country’s military conducted a live-fire drill of a Hyunmoo-2 ballistic missile in response to the North’s launch on Friday. It came two days after it said it conducted its first live-fire drill for an advanced air-launched cruise missile it says will strengthen its pre-emptive strike capability against North Korea in the event of crisis. "This is another dangerous, reckless, criminal act by the North Korean regime, threatening the stability of the region and the world and we condemn it, utterly. "This is a sign, I believe, of their frustration at the increased sanctions on North Korea, recently imposed by the Security Council. It’s a sign that the sanctions are working." The missile test has come shortly after the top commander of U.S. nuclear forces said he assumed the Sept. 3 nuclear test by North Korea was a hydrogen bomb, suggesting a heightened US concern that the North has advanced to a new level of nuclear firepower. Air Force Gen. John E. Hyten, commander of Strategic Command, told reporters that while he was not in a position to confirm it, he assumes from the size of the underground explosion and other factors that it was a hydrogen bomb – which is a leap beyond the fission, or atomic, bombs North Korea has previously tested. "When I look at a thing that size, I as a military officer assume that it’s a hydrogen bomb," Hyten said. As head of Strategic Command, he would be in charge of all elements of the U.S. nuclear force in the event of nuclear war. "I have to (assume this)," he added, "I have to make that assumption. What I saw equates to a hydrogen bomb. I saw the event. I saw the indications that came from that event. I saw the size, I saw the reports, and therefore to me I’m assuming it was a hydrogen bomb." Seoul’s Defence ministry said it probably travelled around 3,700 kilometers and reached a maximum altitude of 770 kilometers – both higher and further than the previous device. However, the intercontinental ballistic missile had the potential to fly further. Is North Korea planning anther nuclear test? Details of the latest launch came within hours of reports suggesting that the North Koreans were preparing to carry out another underground atomic test. 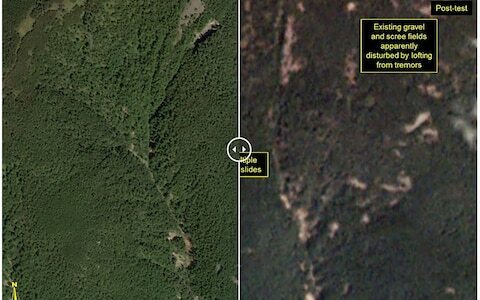 Satellite images showed mining equipment and trucks close to the Punggye-ri Nuclear Test Site. Further activity was also seen close to another underground access point. The main concern had been whether the North Koreans have succeeded in developing a bomb small enough to fit onto an intercontinental ballistic missile. Japan’s Chief Cabinet Secretary Yoshihide Suga says Japan is strongly protesting what it called Pyongyang’s latest intolerable provocation. The missile was launched at 6:57 a.m. Japan time (2157 GMT), flew over Hokkaido and splashed down at 7:06 a.m. (2206 GMT) some 2,000 kilometers east of the northern island’s Cape Erimo, he said. Japan protests the latest launch in the strongest terms and will take appropriate and timely action at the United Nations and elsewhere, staying in close contact with the United States and South Korea, Suga told reporters. NHK reports that North Korea launched the missile at 6.57am local time and it flew over Hokkaido towards the Pacific at 7.06am. It splashed down in the Pacific at 7.16am. South Korea’s presidential Blue House has called an urgent National Security Council meeting. The North’s launch comes a day after the North threatened to sink Japan and reduce the United States to "ashes and darkness" for supporting a U.N. Security Council resolution imposing new sanctions against it for its Sept. 3 nuclear test. The North previously launched a ballistic missile from Sunan on Aug. 29 which flew over Japan’s Hokkaido island and landed in the Pacific waters.